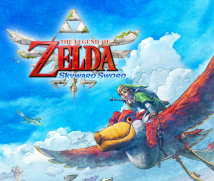 This is our fifth time to discuss The Legend of Zelda: Skyward Sword in “Iwata Asks.” I’ve gathered you all here today to talk about the sky and the town. Thank you for coming. 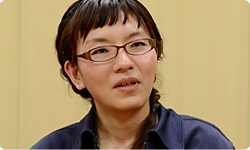 You usually sit at the end as if to say, “I’m the producer,” so why are you sitting at Fujibayashi-san’s left today? I was the planner for the sky game field. Later, I would like to ask in detail about what kind of work you were in charge of. Everyone but Aonuma-san and Fujibayashi-san is new today, so please introduce yourselves. You talked about the “gang leader system” in our third session. I’m Hisada, also from EAD. I provided overall coordination of the landforms. Together with Iwamoto-san, I mainly worked on the sky and town. I put forth a direction for what kind of landforms to use and coordinated the style of the backgrounds and artwork. That’s an incredibly important role in generating the atmosphere of the gameworld. I’m Mizuta from EAD. I worked on sound. I worked on the basic system to generate background music and sound effects, composed some sound effects myself and coordinated the overall sound system for the game. I also worked on the musical instrument and specific ideas that utilise it. Sounds are in all the game fields, so I didn’t just make sounds for the sky and town, but this seemed like a good chance to talk about the sound, so I’m participating this time. How many people made the sound this time? Yes. Five worked on the sound effects and sound system, and five were composers, for a total of ten. That’s quite a lot. Why were so many people involved? For about the first one year and a half, composer (Hajime) Wakai-san1 and I prepared instrumentation and made a general sound base. 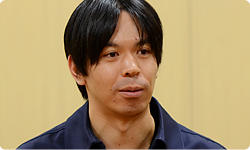 1Hajime Wakai: Software Development Department, Entertainment Analysis & Development Division, Nintendo. He has worked on the sound for many games, including Star Fox 64, Pikmin, The Legend of Zelda: The Winder Waker and nintendogs. He worked on The Legend of Zelda: Skyward Sword as sound director. I plan to have Wakai-san participate next time. He worked on pulling together the overall sound for this game. Yes, that’s right. At first, it was just the two of us, but as we got a sense for the number of stages and the scale of the events, the staff grew. It was impossible for just the two of us to handle the sound by ourselves, so I talked to (Koji) Kondo-san2 about increasing our numbers. 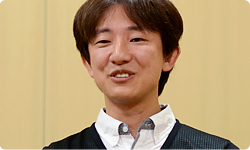 2Koji Kondo: Software Development Department, Entertainment Analysis & Development Division, Nintendo. 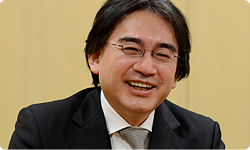 He has composed music for series like target=nintendo>Super Mario and The Legend of Zelda. So you just jumped straight to ten people? No, not all at once. The staff gradually grew. The last sound effects person came in this year. That’s right. We didn’t always have ten people. The sound work always concentrates toward the end, and there was a lot this time, so the increase in personnel was large as well. No game developed in-house at Nintendo has ever had a sound staff of ten people before has it? Because of the dense content of this game, the number of things increased, necessitating a large sound staff. That’s exactly it. The soundtrack is orchestral this time, we made sound effects for each individual scene, and then there were the voices for the characters, so this time the sound work was quite varied. Let’s see... Altogether, drawing the line at backgrounds, there were 22. For just the landforms?! That’s enough people to make a whole game! That’s the most ever for The Legend of Zelda. Yes. It’s the most ever for The Legend of Zelda...and for a game made by Nintendo. So the number of designers was “dense” as well? 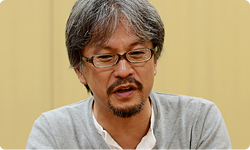 Aonuma-san, you worked on the sky as a planner. What exactly did you do? First, allow me to talk about what led us to make a sky game field. Usually, when we make a Legend of Zelda game with a continuous body of land, we need an overlapping part to join one game field to the next. This time, we made all kinds of gameplay for the forest, volcano and desert areas, and needed to create roads for going back and forth among those places. Every time, it was quite a struggle to figure out how to handle those roads. Roads are particularly essential to a game like The Legend of Zelda. That’s right. But the first thing we thought of this time was that perhaps we didn’t need those roads. And what did you think of? Course selection in Super Mario games. Yes. In Super Mario games, there’s a course selection screen, and you waltz over it and hop into a course. We’re fine with that for Super Mario, but we talked for a long time about how we couldn’t do it exactly the same way for The Legend of Zelda. While we were mulling it over, the idea came up of having the starting location be floating in the sky. When I heard that, I thought that structure-wise, it was possible to have Link jump down from there. Was having him jump down your idea, Fujibayashi-san? Yes. I remembered seeing something on TV or somewhere in which a woman passed out in the middle of skydiving and another more experienced skydiver noticed and swooped over to her, held onto her, opened his own parachute, and landed with her. You saw that and thought you wanted to do that sometime. Yes. I wanted to do it in a game sometime, but I thought simply starting in the sky would never get approval. That alone is too vague. So for a time we had the idea of jumping from a tower. And that’s why you decided to jump down from the sky? Yes. But something about falling from the sky just wouldn’t come into focus for me. How would the sky and the world below relate to each other spatially? As we considered various things, we started talking about how it was impossible without some sort of transportation. And that’s where Iwamoto-san comes in as the sky gang leader.